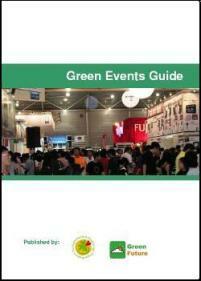 This Green Events Guide aims to provide a framework of principles and practical tips on how event and venue managers can start creating greener events by identifying and reducing the various environmental impacts from the event. If you are organising an event or managing a venue for an event, we hope that you would take the first step in making the event green. The tips in the guide are not exhaustive but the more tips you implement, the greener is your event.